The security of lattice based cryptography can be considered to be based on the hardness of the shortest vector problem (SVP) in lattices. Sieving algorithms can be used to solve this problem, at least in small dimensions. The most promising among the sieving algorithms is GaussSieve. In this paper we present a parallel version of the GaussSieve algorithm that solves the shortest vector problem in lattices. For small number of up to 5 parallel threads, the parallel version scales nearly linearly. For bigger numbers of threads, the efficiency decreases. 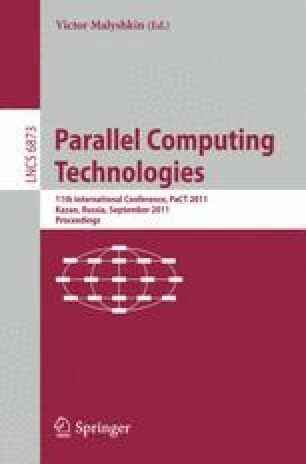 We implement the parallel GaussSieve on multicore CPUs, whereas the presented ideas can also be implemented on different parallel platforms.